Paul E. Hanau has more than 30 years of experience with real estate, property and facility management. In recent years, Mr. Hanau has handled several large leasing and subleasing transactions in Manhattan as well as several large “build to suit” net lease transactions in the metropolitan New York area and in Charlotte and Raleigh, NC. In that capacity, he has become familiar with and negotiated real estate related tax incentive agreements. Prior to joining the firm, Mr. Hanau was responsible for company occupied real estate on a global basis for a Fortune 100 corporation. In that capacity, he was involved with real estate transactions (purchases, sales, dispositions, leases, subleases and space sharing arrangements) and operational issues in the United States and in countries around the world. Mr. Hanau has negotiated real estate management, brokerage, construction (including architects, engineers and third party advisors) and service agreements ranging from those relating to an individual property and those relating to a multinational real estate portfolio. 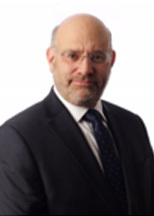 Mr. Hanau has also served as lead attorney responsible for Stuyvesant Town and Peter Cooper Village in Manhattan where he became experienced with landlord/tenant matters, operational issues and with outsourcing related transactions. Mr. Hanau has a wide-range of experience with procurement, outsourcing and contract negotiation. He actively negotiated numerous domestic and international outsourcing, service, and travel related contracts (including those for call center operations, off-site enterprise record management, travel management and airline pricing, IT services, brokerage services, design services, catering and cafeteria services, corporate aviation and aircraft management, security, consulting services and mail room operations). Mr. Hanau has extensive experience in the area of branding and sponsorship. He represented the naming rights sponsor of Hard Rock Stadium (home of the Miami Dolphins) and MetLife Stadium (home of the NY Giants and the NY Jets). He was also involved with sponsorships for the World Baseball Classic, the BWF World Superseries, U.S. Open Tennis Championship, the PGA, the LPGA, Ski Jumping at Zakopane, bicycle racing, yacht racing and other events. Mr. Hanau has been involved with the branding of buildings (including 200 Park Avenue and 1095 Avenue of the Americas in New York City), blimps and parks.